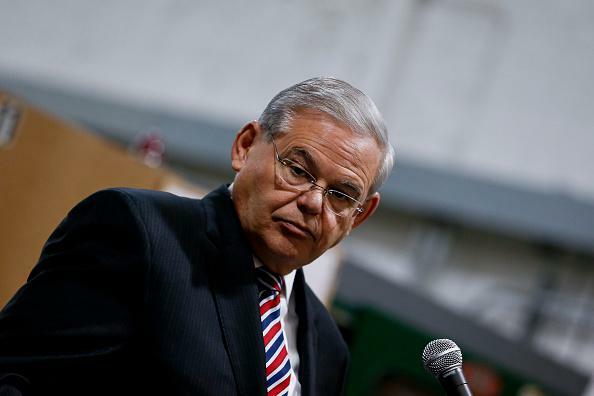 Robert Menendez indicted: New Jersey senator corrupt, feds allege. As expected, Democratic New Jersey Sen. Robert Menendez has been indicted on federal corruption charges. Menendez is alleged to have taken inappopriate actions on behalf of a Florida opthamologist and prolific political donor named Salomon Melgen and faces counts of bribery, conspiracy, fraud, and making false statements on government documents. It appears Menendez intends to remain in office while he defends himself against the charges. Trivia fact: The most recent senator to have been indicted on federal bribery charges was … also from New Jersey. New Jersey! Always with the Springsteen, the Turnpike, and the self-enriching abuse of power.